INOAR G.HAIR. Do not saturate the scalp. Remove the excess with a comb. Let the product set for 20 minutes. Rinse the hair thoroughly with water only - no shampoo. Blow-dry the hair well using a round brush. 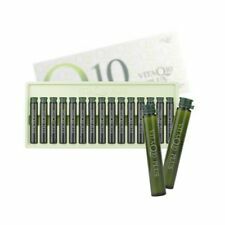 Ampoules for Hair - Excellent care clinic effect. - Scalp soothing, Fading resistance - Increase hair elasticity and gloss. (scalp soothing, elastic wave creation). - Remove water from hair after shampooing and apply content evenly. All BaByliss Products are thoroughly tested to give the ideal performance and results possible. 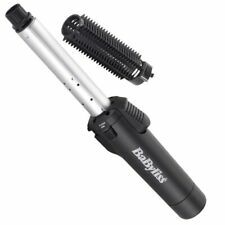 The BaByliss Pro Cordless Styler heats up fast to high temperatures and is easy and safe to use. The light at the end of the barrel should now be on and the tong should begin to heat up. 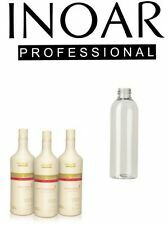 TIGI Catwalk Texturising Salt Spray (270ml) is a matte styling spray for tousled texture and workable body. Directions of use: Spray onto clean, wet hair from mid-lengths to ends, scrunch with fingers and dry with a diffuser. Growth is stimulated and the root is strengthened to avoid future breakage and prevent hair loss. NEW PRE-MIXED FUSIO DOSE TREATMENTS! This brilliant K-PAK® Keratin-enriched formula lifts direct dyes, leaving hair ready for its next color transformation. Unicorn or Pinwheel technique?. In 30 minutes or less, this brilliant K-PAK® Keratin-enriched formula lifts direct dyes, leaving hair ready (and joyfully waiting) for its next color transformation. 1 Wellastrate Straightening Cream (100ml). - 1 Wellastrate Neutralizer Cream (100ml). Dermatologically tested for skin compatibility. - Enter the Wellastrate Streight Cream evenly - 2 mm from the hairline starting - on. “You will receive 100mls cocochoco Keratin, shampoo is not included. PHOTOS ARE FOR ILLUSTRATION PURPOSES ONLY. ”” You will received a 100ml plain container with authentic Cocochoco. Product Size : 20ml. This special leave-in serum is designed to detangle and recondition your hair shafts from deep within so that your hair is once again shiny, full and healthy. After your shampoo, towel dry your hair. L'oreal Xtenso Hair Straightening Kit for Sensitised Hair. This kit contains 125ml straightening cream and 125ml neutralizer. The FadeStopFormula reduces colour fading allowing your hair to stay vivid for longer. 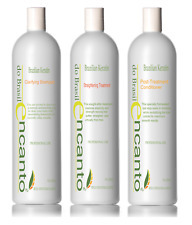 Taming Conditioner 1000ml: The Taming Conditioner provides a detangling effect and nourishes the hair. ORIGINAL BOTTLES + 30ml SHAMPOO! BEST OFFER! $Keune Design Line Straight Cream 200ml/6.8oz Keune Design Line Straight Cream Non-chemical hair straightener, creates soft and smooth hair until the next shampoo. FREE SHIPPING WORLDWIDE We will ship your item within 1-2 days after your payment is clear. I will ship the package as a REGISTERED AIR MAIL, your signature is required. It is the responsibility of the buyer to handle any Taxes Costums fees or Duties in the receiving country. If you have any questions feel free to contact us !!!ics. $Keune care line intensive hair repair vital nutrition 500ml / 16.9 oz FREE SHIPPING WORLDWIDE Keune Care Line Vital Nutrition Intensive Hair Repair is for dry, porous and damaged hair. Keune Vital Nutrition Intensive Hair Repair with Nutri-Injection Technology and Keravis improves the elasticity of the hair. It has a strengthening formula for resistant and damaged hair. FREE SHIPPING We will ship your item within 1-2 days after your payment is clear. I will ship the package as a REGISTERED AIR MAIL, your signature is required. It is the responsibility of the buyer to handle any Taxes Customs fees or Duties in the receiving country. If you have any questions feel free to contact us !!!. Long lasting Hairstyle. Easier brushing and ironing. Colour Protects with UV filters. Keep it for your self or give to a loved one as a gift. It is already wrapped! A New System that allows you to go lighter and brighter without compromising the integrity of your hair. Australian Owned. Tested in TGA Certified Australian Laboratories. 3 I want to also color my hair. When should I do this?. It depends on your preference and individual hair type. 4 I would like to cut my hair as well. Results will last up to 4 months. 11 What shampoo should I use to maintain my beautiful hair?. Net Content: 300ml. We would highly appreciate the chance to follow up with you if needed. Care Free Curl Curl Booster Permanent Wave Lotion. Creates a robust thermal barrier that shields hair against temperatures up to 220°C. To use: Apply to cleansed, towel-dried hair. This vitamin-rich organic relaxer system leaves texture feeling like silk-providing smooth tangle free manageability and long-lasting radiant shine. • Extra Body Super Formula adds extra body to hair with coarse texture. MALIZIA giovani hair GEL. Malizia giovani hair gel leaves no residues. Marke malizia italy. Größe 100 - 200 ml. The special formula and ProVitamin B5 Abdullah Endein hair so that it looks healthy and shiny without weighing it down. Neutralising Cream 400ml. Neutralising Cream - Apply neutralising cream to hair. - Leave on for 15 minutes at room temperature on very resistant natural hair, resistant natural hair & natural hair, 10 minutes on sensitised hair.